How Scarlett Johansson became our finest post-human movie star. Back in the early years of the new millennium, Scarlett Johansson seemed to have a lane: She starred with Thora Birch in Terry Zwigoff and Daniel Clowes’ teen-angst classic Ghost World, with Bill Murray in Sofia Coppola’s ennui-soaked classic Lost in Translation, and in the ensemble cast of Paul Weitz’s In Good Company. She was a character actor whose existential angst seemed to be in constant combat with the way men saw her, a lead who never overshadowed or overwhelmed the film. And she did not appear to be the kind of actor who would, ten years later, be playing a killer cyborg, right on the heels of playing a drug mule turned superhuman, right on the heels of playing a killer alien. Johansson has had one of the stranger career shifts of any major female actor in recent memory. She’s gone from indie darling to mainstream action star, and in relatively little time; at just 32, she’s already had more phases than some performers double her age. But if you go through her filmography, the transition actually begins to make sense—and if you subtly shift the focus of how we’re considering her, you discover that it isn’t that unusual at all. After debuting, at the age of 9, in North, Johansson steadily picked up steam until she blew up in her late teens, becoming a go-to ingénue for directors like Robert Redford, the Coen brothers, Coppola, Brian De Palma, Christopher Nolan, and Woody Allen, who cast her three times between 2005 and 2008. In the bulk of these films (excepting Redford’s The Horse Whisperer), Johansson plays an attractive young woman who motivates the male lead in some way, and though her performances received plenty of critical praise, they tended to blur together in retrospect. Of all her work from this period, Lost in Translation truly stands out—not coincidentally, the product of a female director—as does Match Point, the peak example of the type of role she was being given in those days. Aside from the period pieces that most young female actors find themselves in at some point in their early careers, Johansson’s first major step in a different direction came with Michael Bay’s sci-fi flop The Island in 2005. Along with Nolan’s The Prestige in 2006, The Island indicated a glossier direction, away from the more human intrigues of the films that she’d been known for up to that point. That period also coincided with her Allen collaborations, and the contrast between the two worlds, though not uncommon for a marketable actor, indicated that Johansson hadn’t yet quite settled on the direction she would go in. However, they did suggest that she had an interest in physicality and spectacle that hadn’t been shown before. The shift began in earnest in 2008, when Johansson starred in the now-forgotten Frank Miller adaptation The Spirit, an attempt to capitalize on the success of Sin City. While that movie turned out to be a disaster, it functioned as a sort of dry run for the role that would change her career: Natasha Romanoff, the Black Widow, whom she first played in 2010’s Iron Man 2. The part was Johansson’s decisive leap into the blockbuster world: Unlike other tentpole action films, the Marvel movies tend to transform their actors, due both to the number of times they reprise those roles and the enormous visibility of the films. But the strangest thing about Johansson’s experience is that the roles that came next would offer an indirect commentary on those that came before. Since Iron Man 2, Johansson has played the Black Widow in four more movies. And aside from Marvel, she’s made ten other films. Only two of these, Don Jon and Chef, feel like roles that she would’ve played before Iron Man 2. Two more—Hitchcock and Hail, Caesar!—saw her appear only briefly, and another two were voice roles. 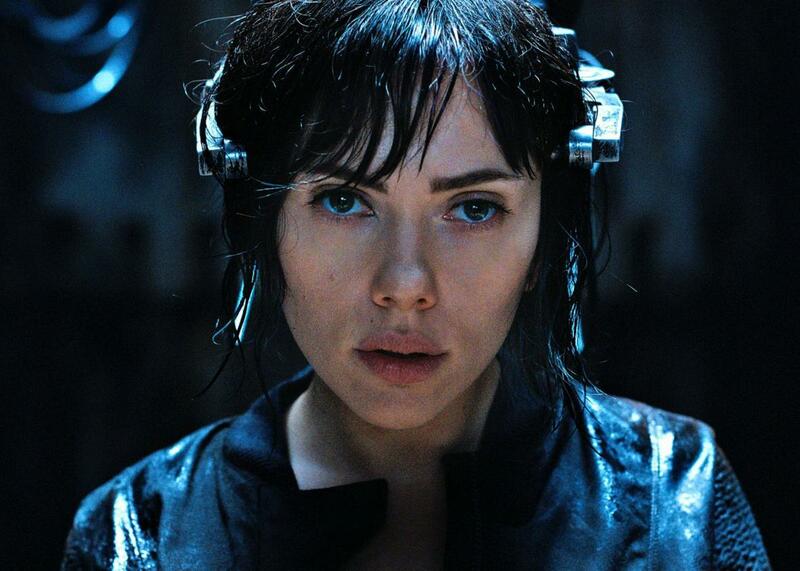 Excluding Ghost in the Shell, which just had a ghastly opening weekend, the trio of films that remain makes up her most successful work to date, and the most effective exploration of Johansson’s singularity as an actor: Under the Skin, Her, and Lucy. All three of these movies are very different, but they have a shared gene that makes Johansson feel so natural in them. Jonathan Glazer’s Under the Skin is an enigmatic exploration of identity and human desire, with Johansson playing an alien who seduces, kidnaps, and then kills men. In Spike Jonze’s Her, Johansson never actually appears onscreen, voicing the operating system that Joaquin Phoenix’s Theodore Twombly falls in love with. And in Lucy, Johansson turns the typical story of an American woman abroad who runs afoul of a criminal element into a strange riff on the action hero, in which Johansson’s character essentially becomes God. In none of these films does Johansson play a regular person. Instead, with a savvy awareness of her own distinct physicality, Johansson and her directors riff on the nature of personhood, taking advantage of her power as a screen presence to isolate certain elements and call attention to their removal. In Under the Skin, it’s humanity; in Her, it’s the body; and in Lucy, it’s the limitations of natural law. These films explore and subvert the concept of what a woman on film can be, and especially how a beautiful woman appears to a male viewer; in that sense, they can almost be read as a direct response—not a refutation, necessarily, but a reaction to or progression from—the work of her earlier career. And it doesn’t seem like a coincidence that, while Johansson’s more conventional performances in Don Jon and Chef were well-received, neither came to define her career like these other films did. Of course, most men aren’t given the same imperative to explore the way the world interacts with their bodies and selves—nor do they tend to do it with the kind of ingenuity and experimentalism that Johansson has. And with her next film, Rough Night, being a comedy, we could soon get a reminder that there isn’t any one lane Johansson wants to work in. If her characters tend to explore the edges of what it means to be human, than she seems interested in exploring the edges of what it means to be a movie star. See also: Will Ghost in the Shell Make Me Mad?